All Pro Restoration works with all insurance companies. 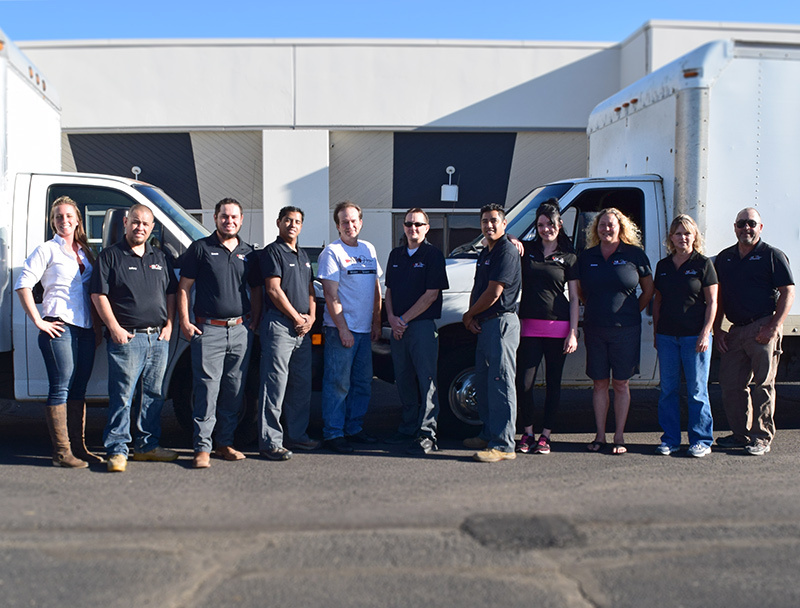 Our owner is Master Certified in water removal, which includes his certifications in mold remediation, and he personally trains all of our technicians. Everyone at All Pro Restoration is passionate about superior service with a smile – and that is the All Pro Difference! There is much more to water disasters than just the source of the water and the cleanup of the visible damage. Water can be more intrusive and harmful to a home than one might think. There is primary damage and then there is secondary damage and finally there is long term damage. We invite you to see what the IICRC has to say about water by clicking here. Primary damage is the obvious damage that you can see with your eyes and detect with the use of moisture meters and thermal imaging cameras. Examples of primary water are wet carpet & pad, moisture wicking in the drywall, warped or buckled floors, and more. Standing water in a basement. Water rushed down the hillside and in through the customer’s windows. Secondary damage is the less obvious damage that you may not notice right away. Typically secondary water is the result of long term damage not being taken care of in a timely fashion. Long term secondary damage typically results in swollen wood materials such as doors, floor boards, baseboards and door casing as well as inexplicable cracking in the walls, and more. However, secondary water can also be the result of large amounts of water that begin evaporating quickly. 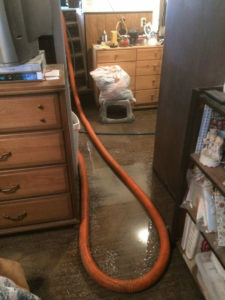 This type of secondary damage usually results in high humidity that can cause the room to reach its dew point and can cause the moisture to penetrate porous materials such as fabrics, furniture, etc. Long term damage is extremely harmful to the structure of the home. It can cause dry or wet rot that will result in walls and floors becoming weak. Long term damage can also cause toxic mold to grow on the inside of your home – often known as “black mold”. To read more about mold, please visit our Mold Remediation and More About Mold pages. See a list of the surrounding areas we service.